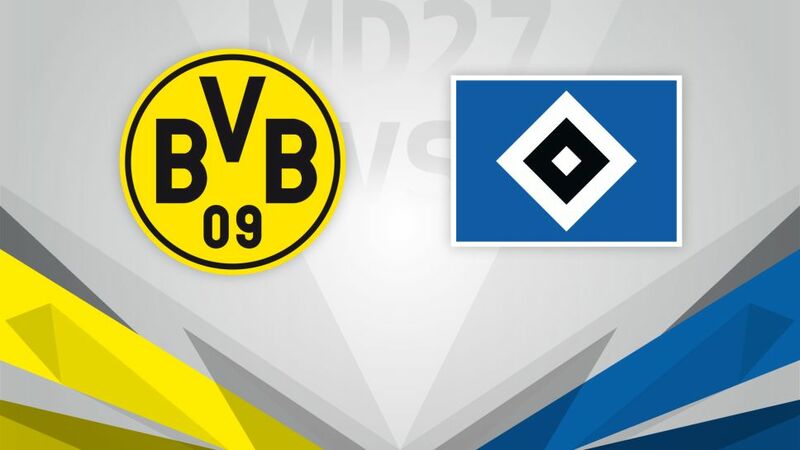 Borussia Dortmund will be out to muscle their way back into the top three with a positive result against Hamburg on Tuesday (kick-off 20:00CEST/18:00GMT). BVB's 1-1 draw at Schalke in the Revierderby coupled with third-in-the-table Hoffenheim's win at Hertha Berlin means Dortmund start the week in fourth place, one point adrift of the automatic qualification places for the UEFA Champions League and five behind second-placed RB Leipzig. Thomas Tuchel's side are unbeaten in their last six, however, and will be determined to keep spirits high ahead of Saturday's Der Klassiker with Bundesliga leaders Bayern Munich. Hamburg suffered a chastening 5-2 home defeat to Dortmund earlier in the season, but have improved significantly since. Indeed, the Red Shorts have taken ten points from the last 12 on offer, with their 2-1 win over Cologne on Matchday 26 lifting them a point and three places above the relegation play-off spot with eight fixtures remaining.